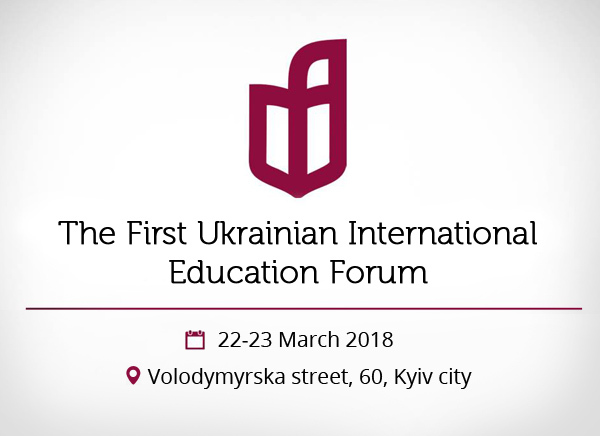 We are glad to invite you to join the First Ukrainian International Education Forum! The Forum will be held on March 22-23, 2018 in the main building of Taras Shevchenko National University of Kyiv. Volodymyrska street, 60, Kyiv city. 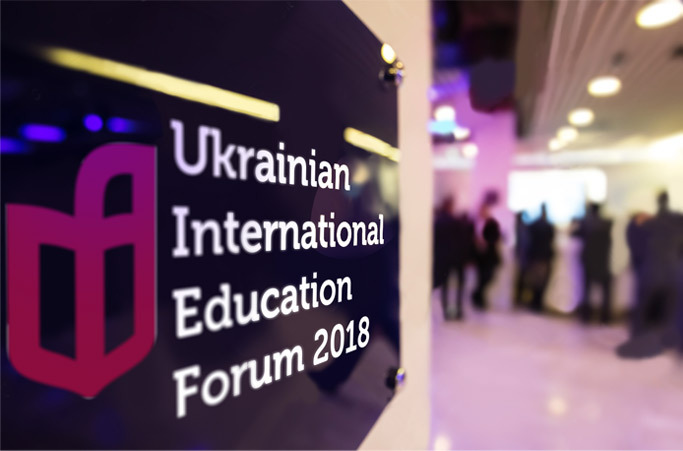 The Forum will be opened with the welcoming speech of the Minister of Education and Science of Ukraine Mrs. Lilia Hrynevych «The Reform of Higher Education in the context of internationalization». 1. Please, fill the Form and send it. 2. Pay the participation fee. Recipient: Ukrainian State Center for International Education. (In Ukrainian – Державне підприємство «Український державний центр міжнародної освіти», скорочено – УДЦМО). Organisation code (код ЄДРПОУ): 32304022. Account Number (поточний рахунок): 26004457293 at АТ «RaiffeisenBankAval», Kyiv, MFI (МФО): 380805. Payment reference: Payment for the International Education Forum (including name of institution and full name of participant) incl. 20% VAT i.e. 300 UAH. We require copy of bank transfer receipts sent to us via email to conference@studyinukraine.gov.ua. 03057, Ukraine, Kyiv, Oleksandra Dovzhenka str, 3. 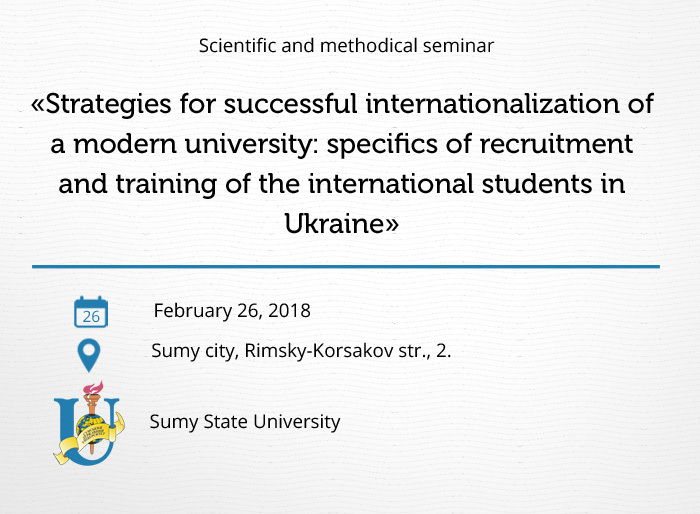 We invite you to take part in the scientific and methodical seminar «Strategies for successful internationalization of the modern university: the specifics of recruitment and training of the international students in Ukraine», organized in cooperation with the Department of Internationalization of Higher Education at the Institute of Higher Education of the National Academy of Educational Sciences of Ukraine, which will be held on February 26, 2018 in Sumy State University at the address: Sumy city, Rimsky-Korsakov str., 2. For participation in the seminar, please fill out the form and send it to the following address: conference@studyinukraine.gov.ua. Contact person – Oleksandr Bessarab (044) 359-05-39. The Ukrainian State Center for International Education celebrates the 15th anniversary! On February 7, 2018, Ukrainian State Center for International Education celebrates its 15th anniversary! In 2002 an official Order of the Ministry of Education and Science of Ukraine for the establishment of the Ukrainian State Center for International Education. This order committed the obligations of organization and coordination of study of the international students in Ukraine to our Center! Our congratulations to the current staff of the Ukrainian State Center for International Education and everybody, who used to work here before, and also all colleagues and mentors!